This book provides a good foundation for considering a product's user experience by examining a range of products from doors to thermostats. The perspective is just as applicable to designing modern software applications as it is to making ovens. I was interested in the historical perspective of the author struggling with the technology available when this book was published in 1988. We've come a long way with interfaces for phones and computers, but still have a long way to go. 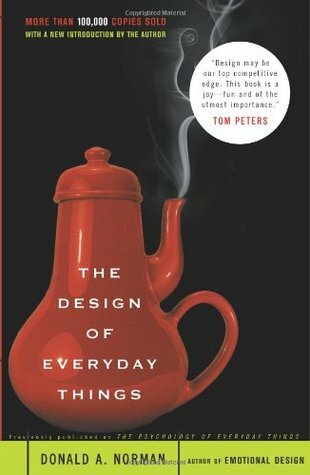 Sign into Goodreads to see if any of your friends have read The Design of Everyday Things.